An online real estate platform co-founded by Jared Kushner and financed by Goldman Sachs says it will expand into farmland deals. A Chinese company isn’t buying Smithfield. A shell company based in Cayman Islands is. Instead of a story about “China buying up the world”, this turns out to be a story of a precarious leveraged buyout deal by some large global private equity firms looking to borrow their way to a fortune. Un nuevo negocio, también hambreador, ha salido al escenario. Comprar las mejores tierras fértiles para exigirles (hasta su agotamiento) la producción de biomasa. News that the Russian government is working with Goldman Sachs to set up a $10 billion private equity fund, part of which will be allocated to agribusiness, underscores that Russian agriculture is again on investors’ minds. Unfortunately, the US Senate inquiry into Goldman Sach's alleged malfeasance is unlikely to question why the company in 2008 decided to acquire ten intensive poultry farms in China's Hunan and Fujian provinces for $300 million. 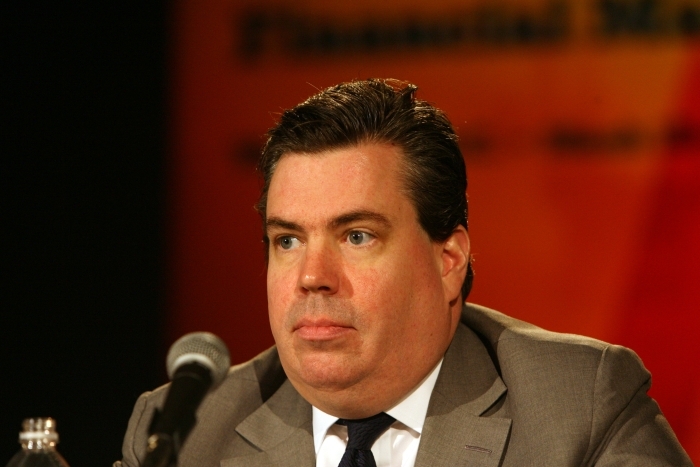 Commodity experts such as Goldman Sachs's Currie believe that land-grabbing is a good thing. He argues it will lead to more investment in agriculture. But others worry that the phenomenon will see farmers thrown off their land as more powerful forces move in. 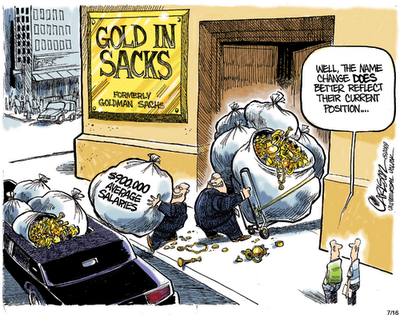 Goldman Sachs' welcoming outlook on landgrab deals will be scrutinised because banks were criticised by some for fuelling speculation in commodities last year. Because of the political sensitivity of the modern-day land grab, it is often only the country's head of state who knows the details. Der Spiegel investigates.